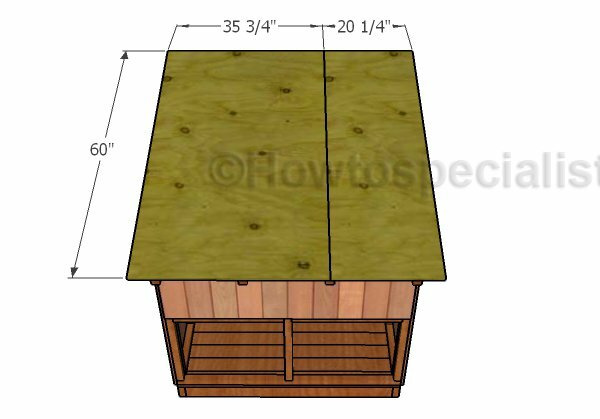 This step by step woodworking project is about duck house roof plans free. This is PART 2 of the duck house project, where I show you how to build the roof structure and how to attach the door. 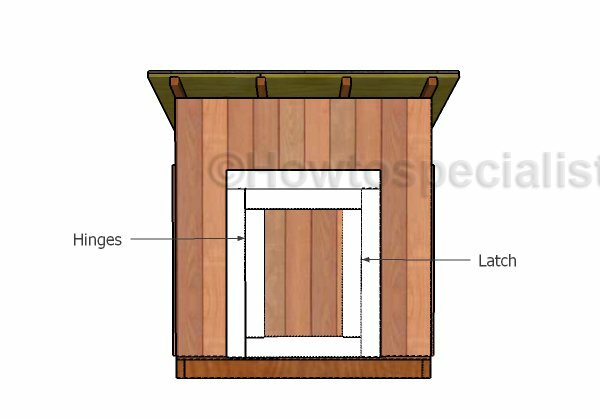 This duck house has a lean to roof so it drains the water properly and a large front door you can lock to protect the ducks from predators. See my other DIY projects HERE. First of all, you have to cut the rafters for the duck house. Mark the cut lines on the 2×2 pieces of lumber and then get the job done with a circular saw. Smooth the edges with sandpaper and remove the residues with a damp cloth. 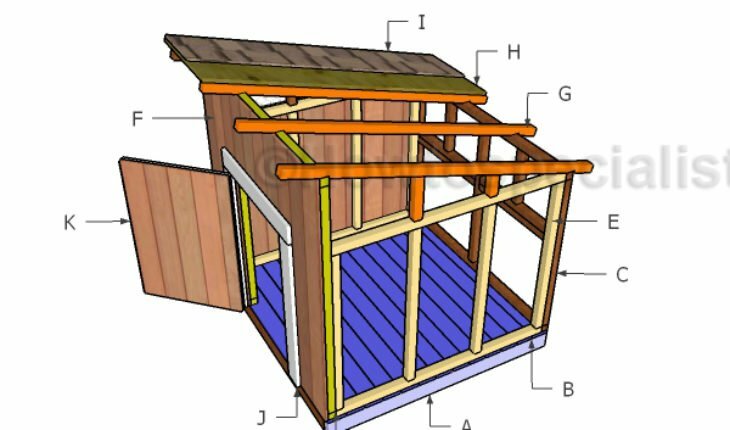 Fit the rafters to the top of the chicken coop, making sure you place them equally-spaced. Drill pilot holes through the rafters and insert 2 1/2″ screws into the plates. 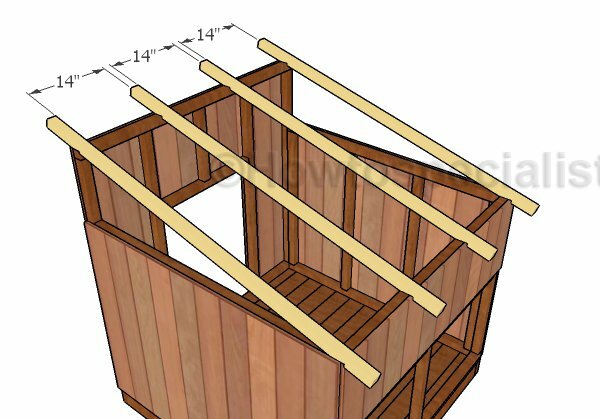 Attach 2×2 supports to the sides of the roof, so you can attach the chicken wire. You will use these top triangles as vents for the duck coop. Staple the chicken wire to the sides of the duck coop. 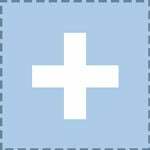 Cut the roof sheets from 3/4″ plywood after taking accurate measurements. Center the sheets to the rafters so the joint falls on the middle, as seen in the plans. Drill pilot holes through the roof sheets and insert 1 5/8″ screws to lock them into place tightly. Cover the roof with tar paper and then attach asphalt shingles, starting with the bottom part up to the top. In addition, you need to install drip edges so you seal the roof tightly. Attach 1×4 trims around the door opening with 1 1/4″ brad nails. 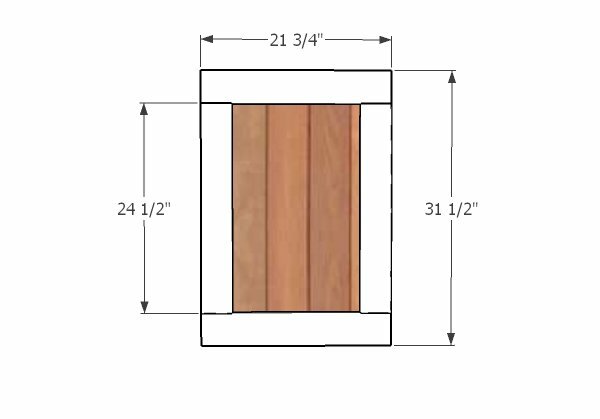 Build the door for the duck coop from 1×4 trims and T1-11 siding. You can use the piece of T1-11 siding that you have cut out in a previous step and attach 1×4 trims to reinforce it. Use 1 1/4″ brad nails and glue to assemble the door. Fit the door to the opening and lock it to the jambs with hinges. In addition, you need to add a latch so you can lock the door and protect the ducks from predators. 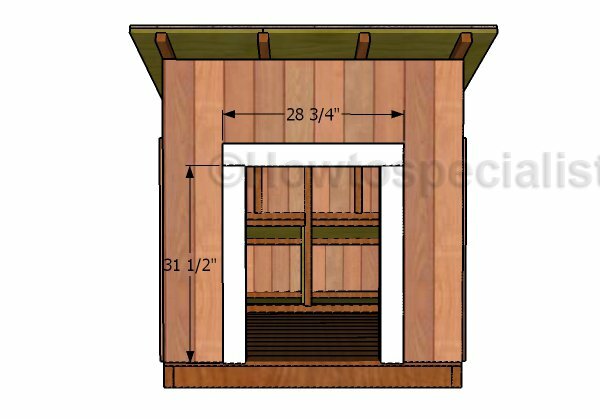 This duck coop is really sturdy and it provides ideal conditions for the ducks to grow healthy. Of course, you can make a few adjustments or modifications to my plans so the shelter suits your needs. 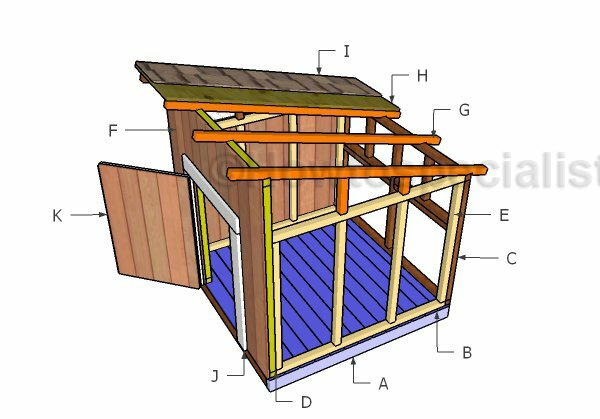 Thank you for reading our project about duck house plans and I recommend you to check out the rest of the projects. Don’t forget to LIKE and SHARE our projects with your friends, by using the social media widgets. SUBSCRIBE to be the first that gets our latest projects.